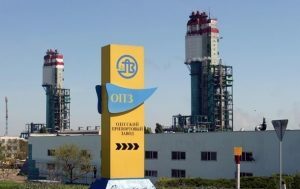 Billions of dollars are expected to flow into Ukraine with the privatization plans for large enterprises starting with the sale of state-owned chemical giant Odesa Portside Plant and state fixed-line phone monopoly Ukrtelecom. But just as her government adopted conditions on Jan. 30 for the Odesa Portside auction, which experts said could fetch as much as $1 billion, President Viktor Yushchenko played a political gambit, in the view of experts, and criticized the sale’s handling. Last week, the Presidential Secretariat criticized the Odesa Portside sale terms because they could allegedly allow the Ukrainian government to break agreements with the investor and unilaterally re-nationalize the plant, all without a court ruling. (Which is no more than a speculation since the constitutional legal procedures are not subject to any governmental decrees). State Property Fund officials, responsible for organizing auctions, said the sale of a 99.57 percent stake in Odesa Portside is still scheduled to begin this month, with opening bids between $500 and $700 million. The privatization of Ukrtelecom, which could raise another $1 billion, is expected to commence later this year. The Odesa Portside sale is expected to be the most expensive since the $4.8 billion auction of steel mill Kryvorizhstal in 2005. Strategically located at the Black Sea, the port is supplied with raw materials by pipeline, giving it competitive advantages over other chemical plants in Ukraine. Odesa Portside is Ukraine’s leading producer of nitrogen fertilizer and ammonia.